The various protests today were all passionate and, at times, poignant. Most of all, if you were trying to follow the UKUncut feeder marches, they were chaotic. Whatever the BBC is reporting about what happened, though, every incident I saw quickly turned into more of a press pack than a protest. Like the picture above. 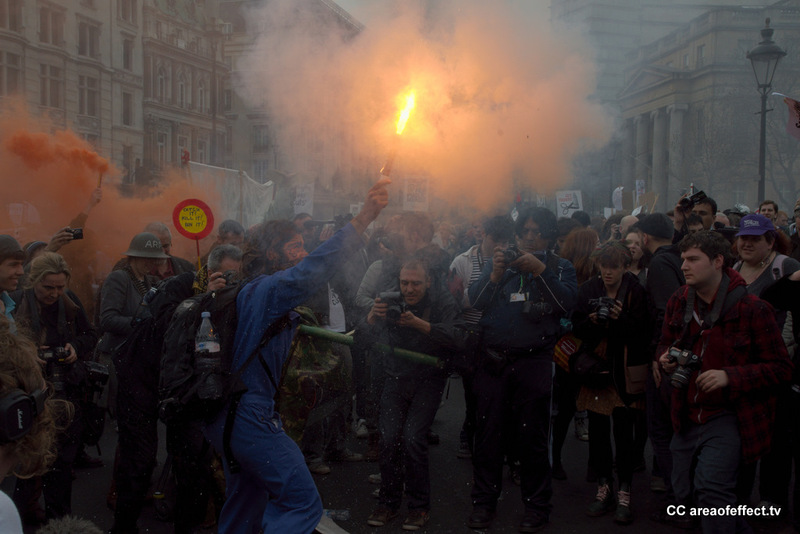 Indeed, several potential flashpoints became considerably calmer when protesters realised they couldn’t get near the action. 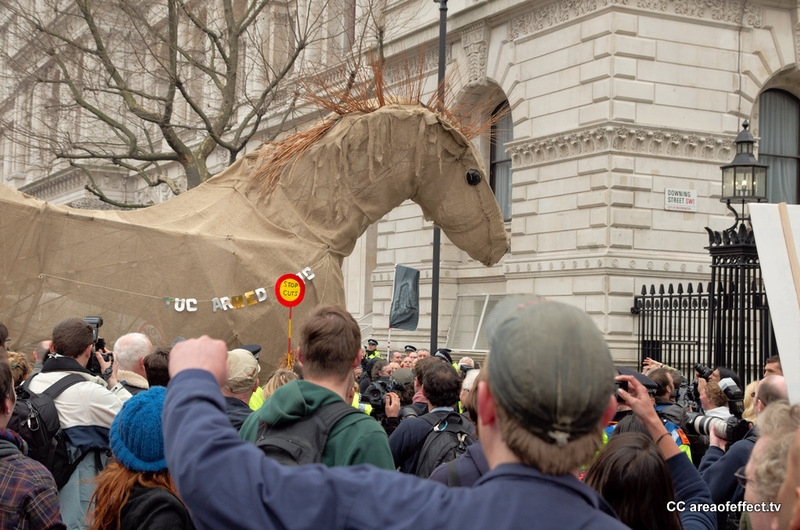 Like the one above, when the TUC Armed Wing Trojan horse pitched up outside Downing Street. Police moved in to create a line, only to realise there was a thicker line of photographers between them and the horse. Not that I can talk, of course. But it makes you think.